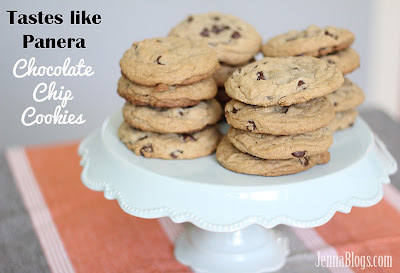 If you've been around here for awhile, you know I'm a bit of a chocolate chip cookie-a-holic. 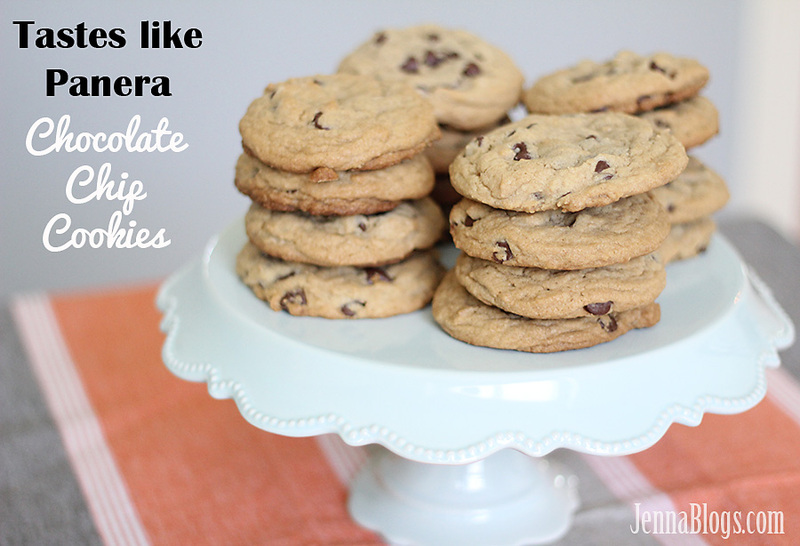 I'm always on the hunt for a delicious new chocolate chip cookie recipe. I stumbled upon this one recently and made a few changes. They remind me SO much of the delicious cookies at Panera! Give them a try and tell me what you think! Combine first 4 ingredients, set aside. Cream butter, shortening and sugars together. Add eggs and vanilla. Slowly add dry ingredients. Fold in chips. Use a large cookie scooper and place large rounds of dough on your baking sheet. Bake at 350 for 15 minutes.